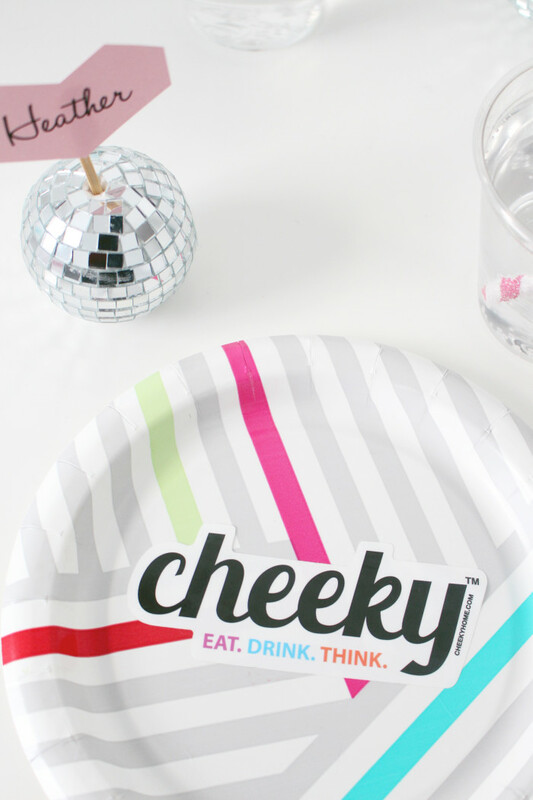 Have you seen Cheeky plates at target?? 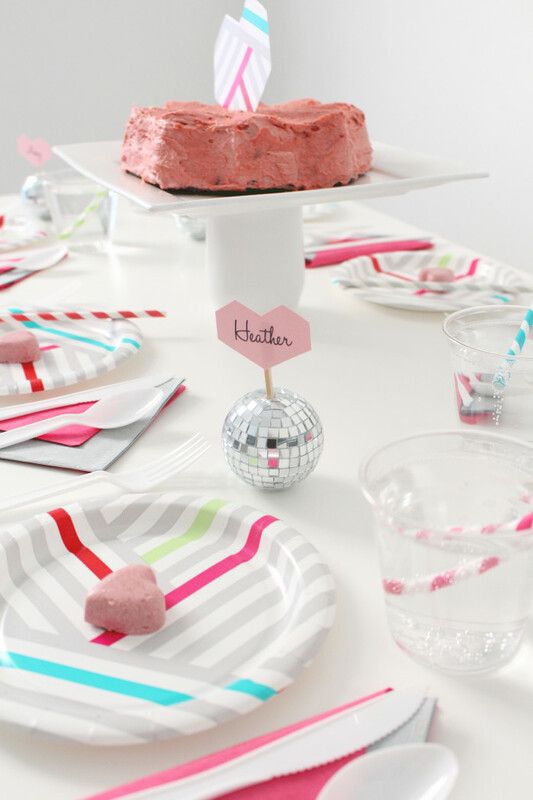 They’ve previously only had a regular dinnerware line but just release, on the 6th, an all-new party ware line! Both lines are adorable, with geometric designs, inlaid patterns and the cutest, trendy colors! But, the best part about Cheeky ware is that, beyond the cute designs and variety, they are also a company dedicated to helping end hunger. For every Cheeky item you purchase, a meal is donated to a person in need right here in the U.S. How wonderful is that? 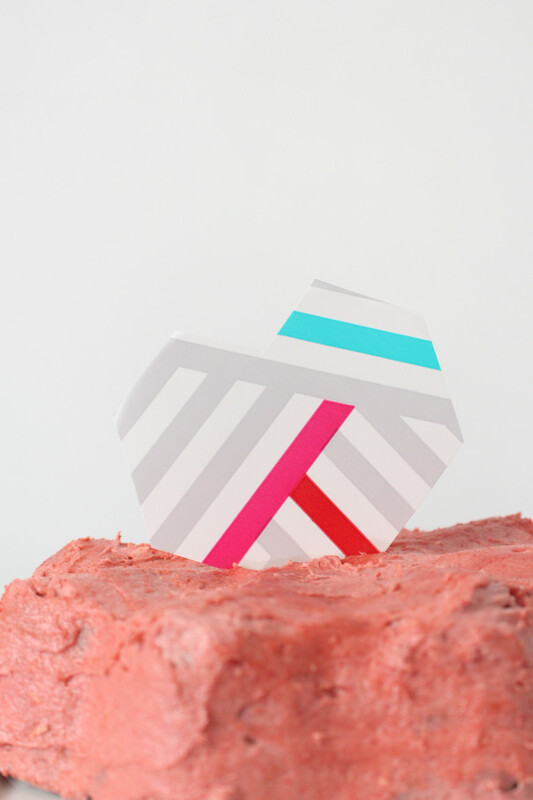 So you know that not only are you getting the cute paper-ware you need for your home and events but you’re also helping end starvation here at home. 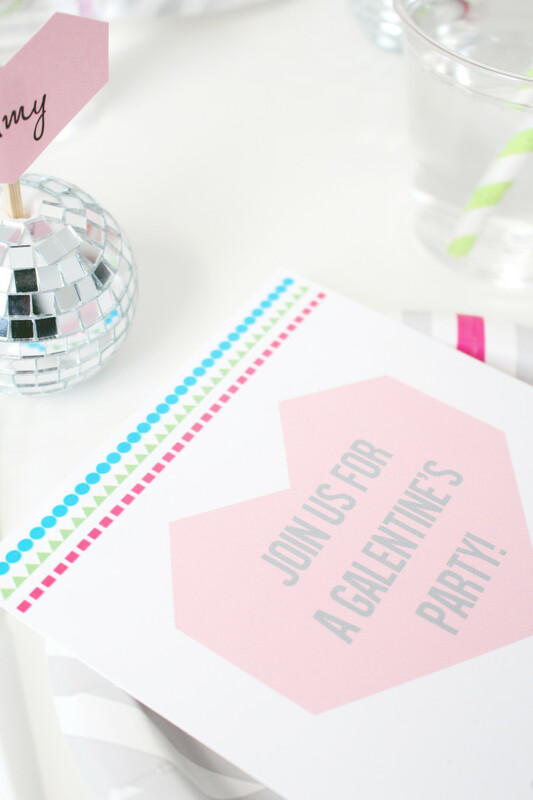 So when Cheeky asked if we would help introduce their new party designs, we were thrilled to be a part of it and, after falling for every new plate, settled in on these perpendicular lined ones that inspired this Galentine’s Day geometric party set up! Getting your mom, your sisters, your women in-laws and you BFFs together for a sweet-filled party is just what we all need about this time of year, I think. January is rough, is it not? Holidays over, murky air, dirty slush, back to school, sicknesses still abundant. I mean, come February we really need this day! But, I hate how this day also usually signals the end of my New Years good intensions (like of eating less chocolate and working out…) so for this party, I made two treats and a drink that are totally lacking in refined sugars, grains, or dairy! Cheeky’s slogan of “Eat. Drink. Think.” inspired me to make this a party that doesn’t lack in any heavenly sweetness but is also thoughtful of the ingredients we’re consuming to get that sweetness. 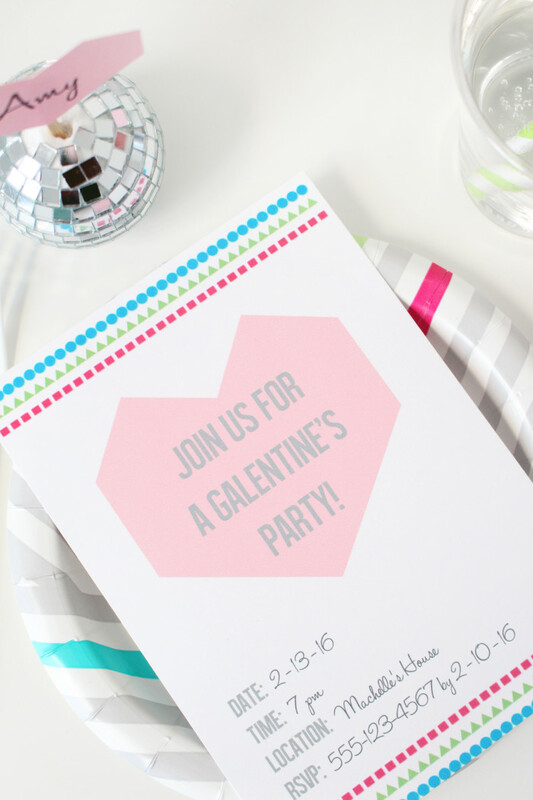 So, I welcome you to join me and my fave gals for a sweet little get-together with free printables and some amazing paleo dessert recipes! Click ‘read more’ below! 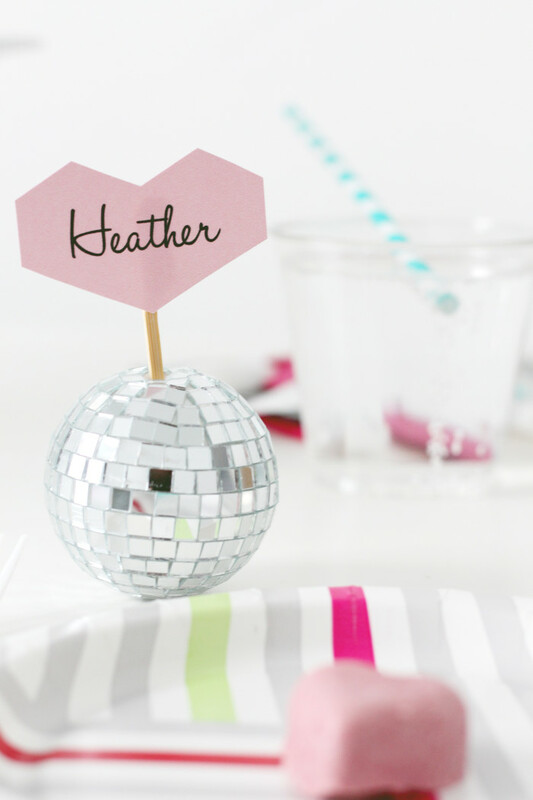 I always love adding a bit of glitz and glamour to my parties and disco balls were the perfect addition to this fete. 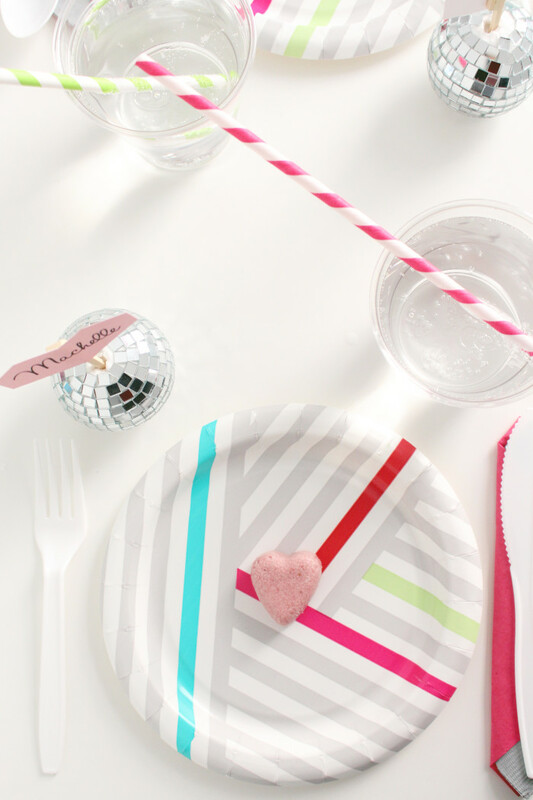 They complimented the gray and white of the Cheeky items and added liveliness to the table! I used them to make fun little placecards. 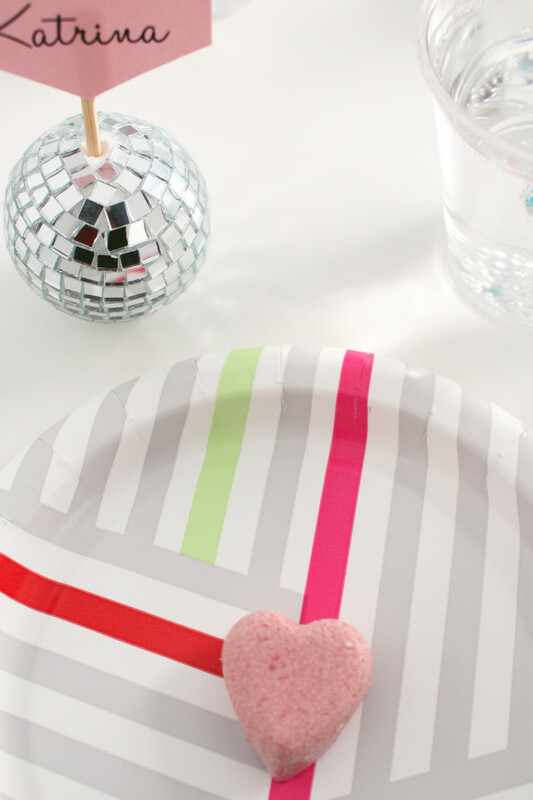 Using the free printable below, I cut around the hearts, glue them to toothpicks, removed the hanger part of the disco ball (they were actually Christmas ornaments I got earlier this season), and inserted the picks into them. They stayed up perfectly on their own. The cake was the highlight of my weekend! I was thrilled to find an amazing recipe for a cake that came out with an amazing texture very reminiscent of sugar and gluten-full cakes. It’s amazing chilled or room temperature which can also be a feat for paleo baked goods. Dense and chocolately without any of the harmful ingredients, the cake was a sinch to make and I followed this recipe right here from The Spunky Coconut. The frosting was also PHENOMENAL and I used this recipe by The Urban Poser. Have you gotten the Kirkland Signature brand Sliced Fruit packs from Costco?? They’re individual snack size bags of freeze dried fruits (so super healthy snacks!) and they are amazing!! They have apples, grapes (crazy delicious), strawberries and pineapple. They’re my favorite! 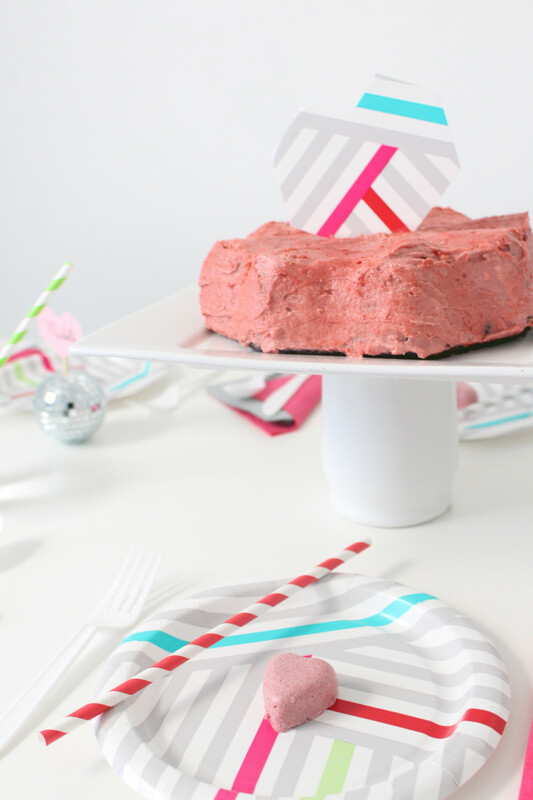 I used the strawberry pineapple packs for this frosting recipe and its pretty much perfection. 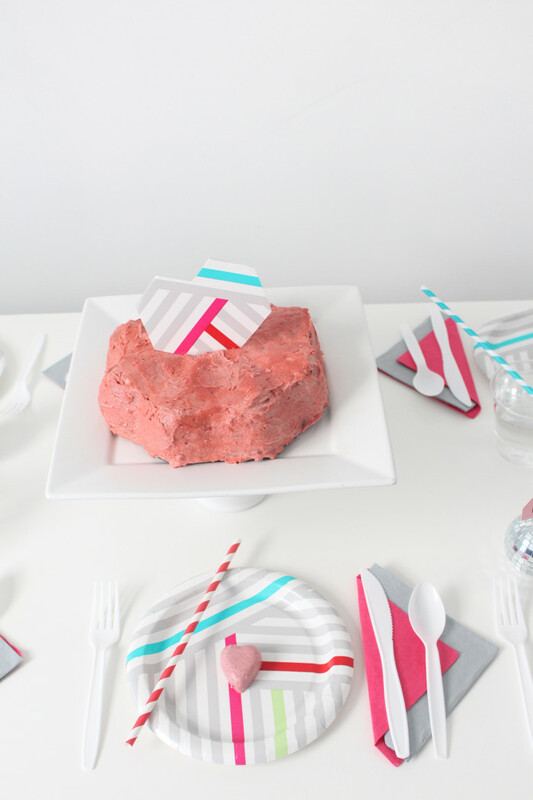 These cute little fudgey strawberry milkshake hearts are from PaleOMG and were a cute and sweet addition to the table. Make them with any fruit and an shape of mold for any time of year or party! For drinks I simply served my favorite Zevia soda pop, cream soda. With no artifical colors, flavors or sweeteners (they use stevia to sweeten!) they’re zero calorie sodas that don’t pack the horror of Diet Coke. Hopefully these recipes and plates have inspired you! I really would recommend this cake and frosting for anyone, whether they avoid sugar, grains and dairy or not, they really were that good! 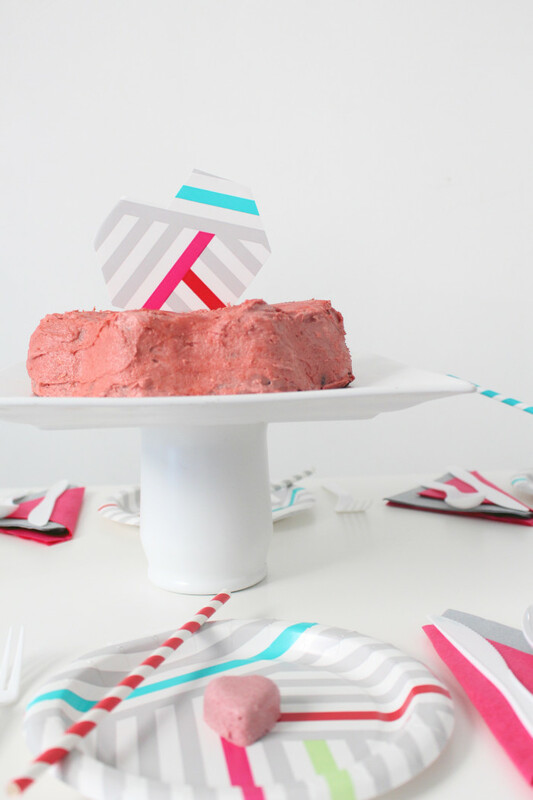 And I fully plan on incorporating Cheeky ware into my daily life (especially during my upcoming move this week, always takes me a few days to get the kitchen all settled in so paper dinnerware is my BFF) and into my future parties/get togethers. Cheeky sent me the plates, napkins and utensils free of charge but all information provided here is true and of my opinion. No statements provided herein were paid for. Thanks for supporting the brands we love!